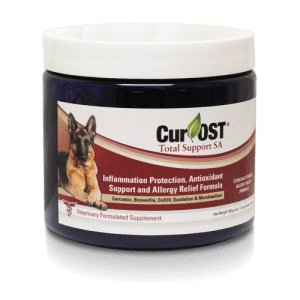 Cur-OST SA Immune formula uses patented Immune Assist® Micron mushroom beta-glucans with targeted amino acids to restore a healthy immune response and improve lymphocyte and NK cell activity in the dog. Also benefits allergies, tendon & muscle injuries and promotes gastrointestinal health in pets. Immune support is vital to overall health! Immune compromise often leads to allergies, recurrent skin and ear problems and many other health conditions. Enhance YOUR Pet’s Immune system, Aid in Recovery and Tissue Repair! Our Cur-OST SA Immune health supplement formula provides potent immune support through the use of a patented, micronized blend of mushroom polysaccharides and amino acids to give your dog results! 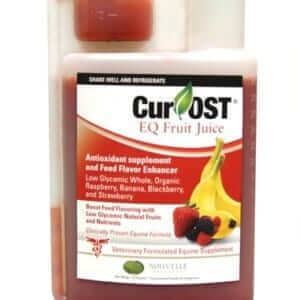 Our Cur-OST SA Immune formula is beneficial for post recovery from illness, skin conditions and allergies. Veterinary Formulated, Research Supported and Clinically Utilized for over 7 years to get RESULTS! The Cur-OST line of products utilize the finest herbs, vitamins, and minerals that have been scientifically researched and clinically proven to reduce the inflammation associated with many disorders as well as support the immune system. With our high-grade formulations and blends, you can trust that you are getting the best product nature provides. How does the SA Immune & Repair formula work? The SA Immune & Repair formula contains a patented blend of micronized mushroom derived beta-glucans (Immune Assist Micron®) along with added vital amino acids to support and promote a healthy immune response which might be impaired during times of infection, allergies or stress related. Is the SA Immune & Repair formula okay to use alone or best in combination? 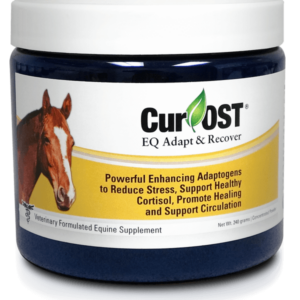 We generally recommend using the SA Immune & Repair with one of our other Cur-OST® formulas which help to support a healthy inflammatory response for best results in most cases. Is the SA Immune & Repair safe to use with other supplements and medications? The SA Immune & Repair is generally safe to use with other health supplements, but it is advised to consult with your veterinarian if your pet has a medical condition or are taking prescription medications.